The Thank You Mom campaign is one that I literally cannot watch without bawling my eyes out. I rarely talk about advertisement campaigns – but these just hit home and hit home so hard for obvious reasons. The Sochi 2014 Olympic Winter Games are just about 100 days away and to celebrate some of this year’s top athletes have joined the P&G Family to help support their Thank You, Mom campaign. Why? Simply because they no that no athlete gets to the Olympic and Paralympic Winter Games alone, and the campaign celebrates the Moms who helped get them there. 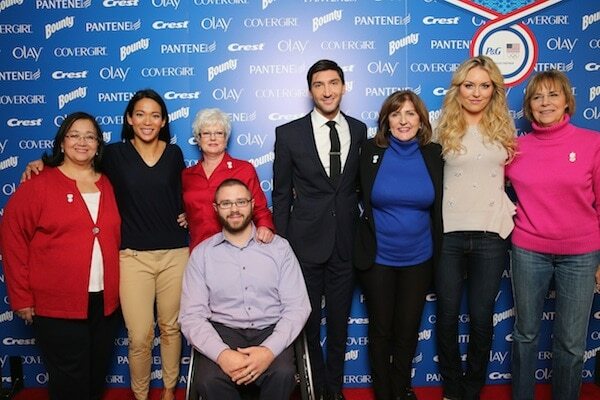 Earlier this week, P&G hosted an event where they honored Olympians Lindsey Vonn, Evan Lysacek, Julie Chu and Taylor Lipsett – and their moms – and celebrated the hardest, but most rewarding job: Being Mom. Part of the campaign pays tribute to Moms around the world through the Raising an Olympian film series.